Keep your AR-15 clean and tidy. Quality brass Brushes with steel shanks, ready to clean up your action! Don't pay more than you have to, get a big 5-pk. here for way less. With 8 x 36 thread. 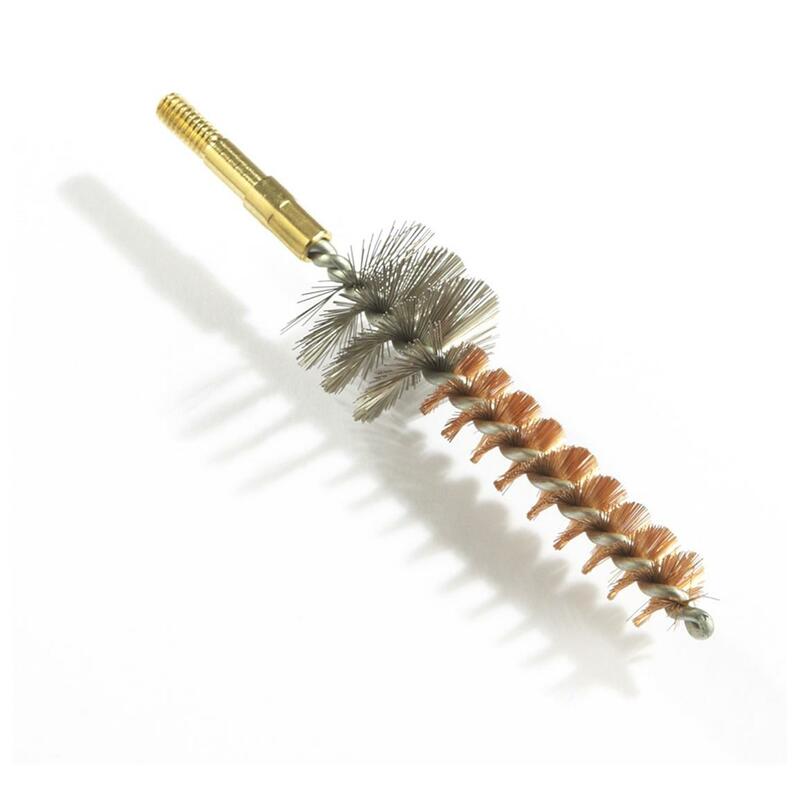 NcSTAR AR-15 Chamber Brushes, 5 Pack is rated 4.7 out of 5 by 54. Rated 5 out of 5 by cuttyjo from 5 Pack is the way to go! They work great for getting the chamber clean, but they become misshapen.They do wear out so you need at least 5 or more. Rated 4 out of 5 by Lamont from Good Product These ar15 chamber brushes work great. I shoot a lot of foreign steel case ammo and it is very dirty compared to ammo made in the USA. I didn't realize how dirty my chamber was until I bought these brushes. My only complaint is that the threads on these brushes don't fit my 8/32 cleaning rods but will tighten up on the first two threads. Rated 5 out of 5 by garth from ar 15 chamber brushes These brushes are good. You need to have a handle that does not rotate on you r cleaning rod. Rated 5 out of 5 by RONALD from ar brushes great price for the package of brushes for my ar. Rated 5 out of 5 by Garry from Good price. Hard to find AR cleaning brushes in places that sell AR's not to good for the people that want to buy AR cleaning equipment when and where they buy their AR's. These brushes are a good buy. Rated 5 out of 5 by CZR53 from GREAT DEAL PRICING! Looks good to me. I haven't used them yet but the quality checks out and time this weekend at the range will tell the tale. If you don't see another post from me then you know that they worked as advertised!